Climate change is raising temperatures in North Africa by twice the global rate. Global warming is about to get a whole lot warmer according to a new study published in the Climatic Change journal. The impact of climate change is being felt across the continent. 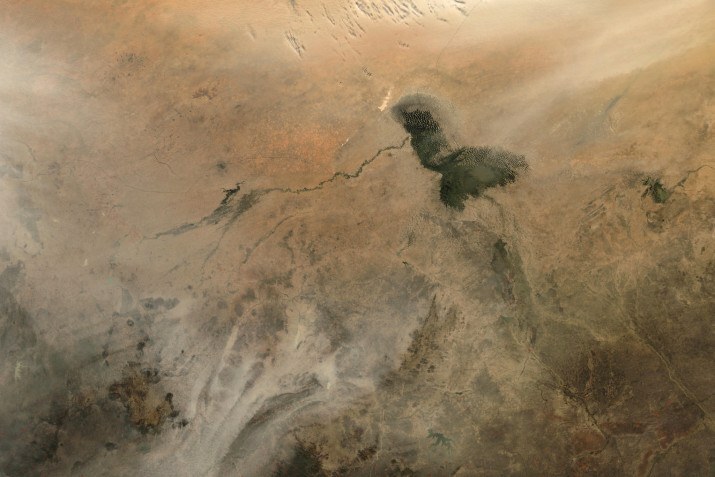 Droughts in East Africa are being exacerbated by a particularly strong El Niño. Ethiopia’s current drought is the worst in 50 years and with around 80 percent of Ethiopians living in the countryside as farmers, no water means no food, which means no income. Land degradations has played a major role in, well, degrading the land. In Zimbabwe, which is also facing a severe lack of rainfall, things have gotten so bad the Parks and Wildlife Management Authority is selling animals they cannot care for. Many of its parks such as western Hwange National Park is excessively beyond capacity with around 54,000 elephants. The new study, utilizing a scientific approach that is way too complex for me to understand, is predicting that North Africa and the Middle East—locations that are pretty hot already—will reach scorching temperatures in the very near future. The effects of climate change created by capital’s unquenchable thirst (pun intended) for ever more profit, once again, is disproportionately impacting poor people and people of color. Prof. Dr. Johannes Lelieveld of the Max Planck Institute for Chemistry warns of a mass exodus out of the area following the temperatures increase. Europe, already facing a large influx of migrants from the Middle East and Africa, may face millions of climate change refugees. How hot can it get, really? How fast before it gets that hot? The study reports that the region will get hot, and fast. In addition to the brutal temperatures, the report details the possibility of longer heat waves rising in length and intensity from the current 16 days to 80 by 2050 and 118 by 2100. As if that wasn’t enough the area is likely to be plagued by desert dust storms. And by 2100, the area’s 500 million residents can be facing temperature averages of 122 Fahrenheit or 50 Celsius. Yeah, so pretty hot, pretty fast.